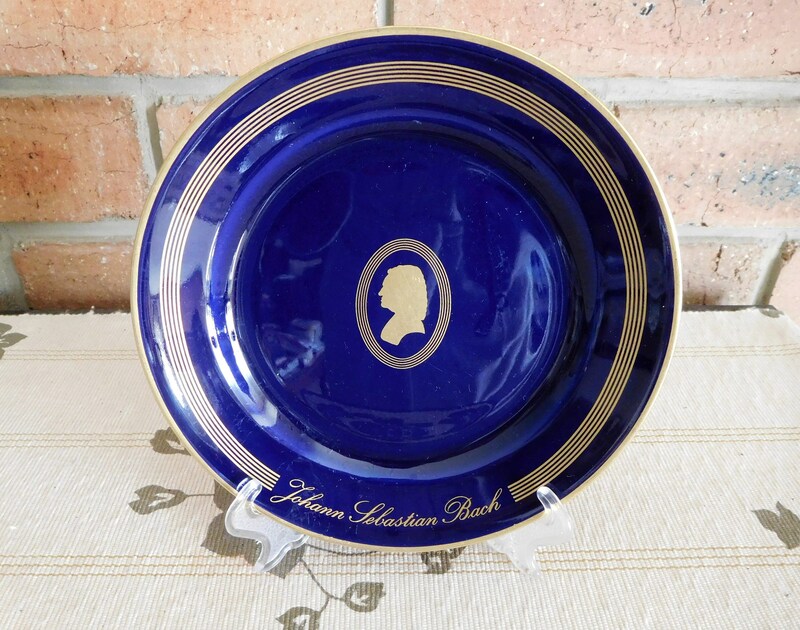 B&G Copenhagen Porcelain Made in Denmark cobalt blue side plate 'Johann Sebastian Bach' pattern 4532 / 616, issued as part of a coffee set featuring various composers back in the 1980s. 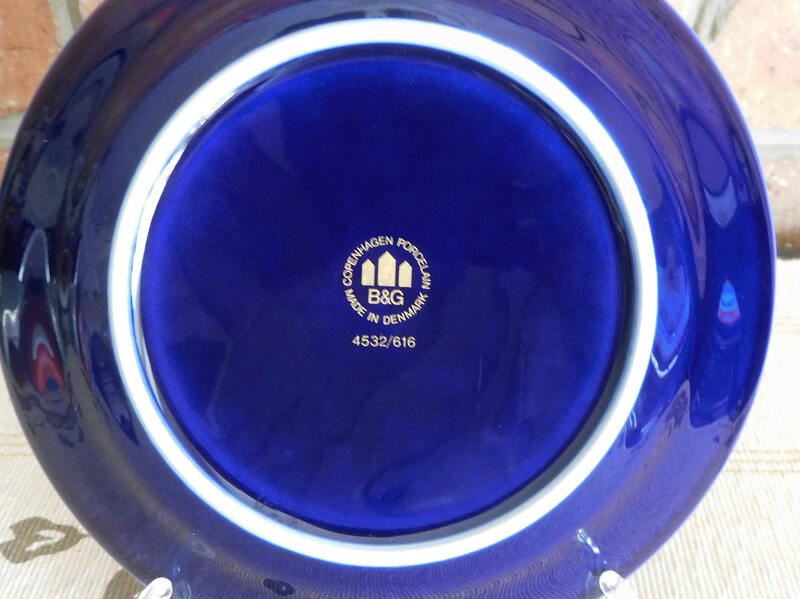 Stunning deep cobalt blue ground and 24k gold gilding make this a wonderful display piece. It is in excellent undamaged condition.